Apple TV 4K brings A10X-powered ultra high-definition and eye-popping high-dynamic range to iTunes and your living room. I remember the first time I saw DVD. Same with 720p and 1080p HD. It was like putting on a fresh pair of glasses, seeing the blur and smear fade, and the world resolve better and sharper before me. I remember the first time I saw 3D as well but only because I disliked it intensely. 4K I don't really remember. I was either too far away or the set was smaller than a wall so I couldn't really see the difference. HDR (high dynamic range), though? My eyeballs are still in nirvana. While the new set-top box is called Apple TV 4K, it's really Apple TV HDR to me. That's how important I really find those more vivid colors and more expansive gamma. It's why, the moment the new Apple TV 4K was announced, I rushed out and spent a couple years worth of unused vacation money on an LG C7P OLED 4K HDR television. And why I'm so deliriously happy I did. 4K (a reference to "horizontal resolution in the order 4,000 pixels") is sometimes also called UHD (ultra high definition). That's to distinguish it from regular old HD, which is 720p or 1080p (720 or 1080 vertical dots of resolution.) In that context, 4K is 2160p (2160 vertical dots of resolution) — twice the height and width, for a combined total of four times the resolution of 1080p. If the content is really 4K (more on that later), and you're sitting close or your panel is really big, you can absolutely see the difference. The level of detail is simply beyond anything you've seen before. It's when 4K is combined with HDR, though, that magic happens. If you're familiar with HDR photography on iPhone, that's what you're getting with HDR video: Instead of whites and blacks that are blown out or clipped off, you can suddenly see into all the highlights and shadows. If you're familiar with DCI-P3 wide gamut color on recent iOS and Mac devices, that's what you're getting in HDR vide as well: Brighter and deeper reds and magentas, and more vivid greens and yellows. Apple has even redone the tvOS interface in DCI-P3 so it looks great as you navigate for content as well. Also, the aerial screensavers that come built into the box. They've never looked more jaw-dropping. Thanks to 4K, you can almost see the people on the streets (I know that guy!). Thanks to HDR, you can almost feel the arctic sunset. For movies and television, it's like you're watching everything again for the first time, even if you've already seen them a dozen times or more. They're dazzling. Almost as though they're bursting off the screen. To keep all of this simple, even though people will have all sorts of different televisions with different displays preferences, Apple TV 4K and tvOS manage the picture entirely. That means, regardless of whether you have 4K or HDR, or if the content you're watching in HD or 4K, HDR 10 or Dolby Vision, Apple always picks the best possible output to send to your television. If memory serves, once upon a time, the older Apple TV models had a screen output selector you could reach through a Konami code-like button combo. It'd be great if Apple could add that back. Otherwise, all you have to do to really enjoy Apple TV 4K is turn off motion and compression smoothing, and the other terrible image destroyers that come set by default on many modern televisions. And enjoy. I've heard it said that the iTunes encoding team are… exacting to say the least. So, it should come as no surprise that iTunes in HDR 10 or Dolby Vision — the studio gets to decide which, if either, it uses — looks flabbergastingly good. Now, not all content is shot or mastered for released in 4K. A lot of it, including recent blockbusters, is still shot somewhere between 2K and 4K. In those cases, the studio upscales to 4K for home video release. The quality of the upscaling can vary but it's never as good as native 4K. iTunes 4K HDR launched alongside the Apple TV 4K, so it's only just begun coming online now. It's more than I expected but we'll have to see how that continues over time. Because it looks so good I just don't want to watch non-HDR versions anymore. 4K HDR content will cost the same as the previous, HD content. Any HD movies you've already bought will be automagically upgraded to 4K HDR when those versions arrive — at no additional cost. Disney, traditional ally of Apple and owner of roughly 80% of my childhood thanks to its own classic characters and the acquisition of Muppets, Marvel, and Star Wars, is the lone holdout. It's incredibly frustrating to me as a consumer and I hope they reconsider. In the meantime, no 4K HDR Star Wars or Marvel Studios movies for us. Netflix has updated to provide 4K HDR to Apple TV 4K as well, and that includes all the Marvel shows like Daredevil, Jessica Jones, and Defenders. And seeing those shows in HDR is a revelation — what was drab and blotted out before is now comic-book bright and detailed. The intro to Jessica Jones, for example, is stunning. Amazon, as soon as it figures out how to use the incredibly simple frameworks Apple released to developers way back in 2015 and actually release a tvOS app, will bring even more HDR content to the box as well. YouTube doesn't currently support 4K in the HEVC codec, and Apple TV 4K doesn't currently support Google's VP9 codec, which means YouTube on Apple TV is stuck at 1080p. VP9 is an open codec, though, so Apple could add support for it at some point, or Google to start encoding in HEVC. Either way, right now, it's their mutual users who are losing out. Happily, you can use Siri to quickly and easily find everything that is available. Just ask for "4K" or "4K HDR" and you'll see everything available. You can also use Apple's TV app, now available not just in the U.S. but in Australia, Canada, France, Germany, Norway, Sweden, and the UK as well. The Siri Remote — still called Apple Remote in all countries beyond the 12 currently offering Siri support on Apple TV — has received a minor hardware update: The menu button now has a white, raised ring around it. Siri Remote has an incredibly tough job. 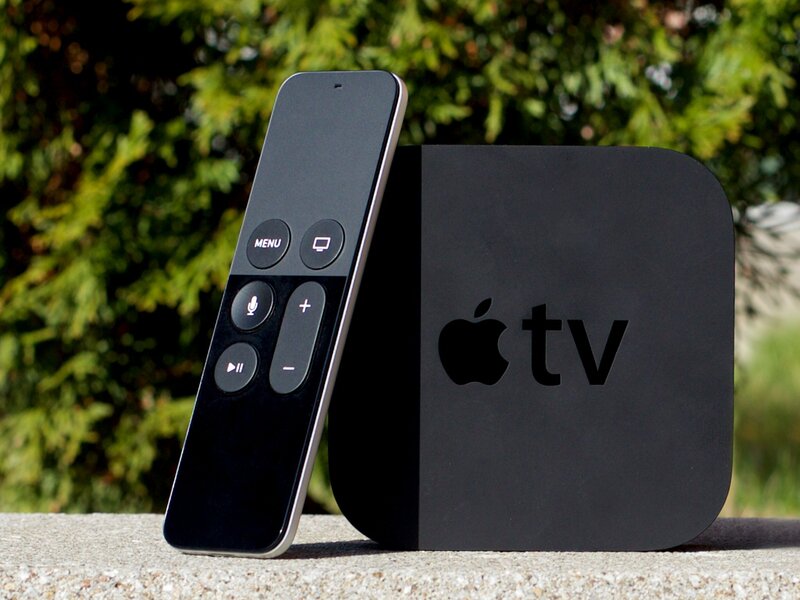 It has to provide control for not only the video functions of Apple TV, but apps and games as well. Adding the touch area solved a lot of problems and introduced some familiarity and consistency with iOS multitouch controls. It also avoided the problem that plagues every other multipurpose controller on the market: death by a bazillion buttons. But it still feels like Apple's industrial design team could do more. Something that would make a raised white ring unnecessary. Luckily, if you have an iPhone, you can use that to control Apple TV, and more easily than ever: Simply swipe up (or down on iPhone X) to invoke Control Center, then 3D Touch to pop up the new, built-in Apple TV remote interface. You have to add the button to Control Center in Settings but, once you do, it's incredibly convenient. Even when you haven't necessarily lost your Siri Remote in the sofa cushions. At the heart of the new Apple TV 4K is the Apple A10X Fusion system-on-a-chip. It's the same chip that's found inside the current-generation iPads Pro, and a graphically more powerful version of the chip inside iPhone 7. In other words, it's a monster. Whatever other comparisons you want to make with competing set-top boxes, none of them come close to Apple's silicon. None are even in the same multiverse. A10X is what gives Apple support for hardware accelerated 10-bit HEVC (H.265), which is the industry standard format for 4K HDR. But it's also what makes apps so responsive and will enable a new generation of gaming experiences on the box. Apple dropped the ball, badly, by requiring Siri Remote support for all games on the original Apple TV and tvOS platform. It caused a lot of big studios and big games to take a wait-and-see attitude that persisted long after Apple, smartly, changed the policy. Getting those studios to stop waiting and start shipping remains a challenge. Hopefully, giving them the power of A10X combined with the ease of iOS to tvOS development will help tap the huge potential of Apple TV 4K. A10X does make Apple TV 4K seems ludicrously overpowered, though. It makes me wonder what else Apple has planned for the box? Apple TV 4K has gigabit ethernet so you get faster transfer speeds if you choose to go wired. If you go wireless instead, you get simultaneous dual-band Wi-Fi so what you watch is never slowed down by whatever else you're doing at the same time. I'm not sure how I feel about this. I know it's the future and every manufacturer seems to be racing to ditch as many potential points of hardware failure as possible, but there's something to be said for the old, Battlestar-style hardwire connections. I guess I'll have to see how this goes. If you have multiple Apple TVs 4K in your home or office, and they're all logged into the same iCloud account, your Apple TV home screen can be set to sync between them. tvOS 11, which powers Apple TV 4K, now has support for right-to-left languages, including Arabic and Hebrew. There's also support for more than 70 types of refreshable braille displays. There are cheaper 4K boxes on the market and some have been announced with HDR support now as well. 4K HDR televisions also typically come with built-in Netflix, Amazon Prime, and other apps for streaming 4K HDR. None of them have iTunes or the App Store, or Apple's A10X processor, but they also don't have Apple TV 4K's price tag. Typically, Apple brings computers to gadget fights, and differentiated experiences to spec and cost comparisons. That's still true with Apple TV 4K. The difference is, people may not be as willing to pay a premium on TV boxes the way they are phones, watches, tablets, and laptops. And certainly not when the premium TV box is missing features like Dolby ATMOS at launch. If you look at Apple TV's path from 2010 to 2017 and compare it to iPhone and iPads during the same period — or even Apple watch from 2015 to 2017 — it's clear the same level of decisiveness, focus, and product vision hasn't been present. Part of that might be attributable to the intransigence of Hollywood. But, ultimately, it's Apple's box. And Apple will have to show its value by pushing out more and better 4K HDR content than anyone else, and providing a better experience via the TV app for Netflix (which is currently boycotting it), Amazon Prime (which has yet to ship on it), and all the other network and — coming soon, live — than the competition. They'll also have to show the value of the A10X processor by getting compelling apps and jaw-dropping games onto the platform. For now, if you have or will soon be getting a 4K or 4K HDR television, and you're all in on iTunes and the App Store, you owe it to your eyes and experience to get Apple TV 4K. Nothing else can do what it can do, not at any price. And the picture quality is so much better you won't ever want to go back. Everything else is nice. But the 4K HDR picture is transformative.